Blogging takes time, effort, and money (if you pay a freelancer). They’re fantastic on a website because they show visitors you’re current, you follow through on commitments, and blog posts help position you as an expert if you write about topics you know inside and out. If you’re taking the time to write the posts, why not leverage them even further? 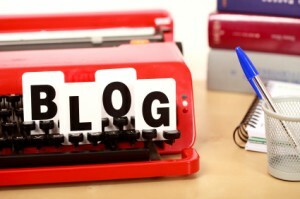 Here are three places every blog post should be disseminated to. Create a Facebook fan page and put those blog posts on them. Even if you don’t have any followers, get in the habit of posting and then start working on building followers. Tip #1 on how to get followers? Put a link to your Facebook page on your website. Ditto on the followers. This is a great way to hit people who might not be potential customers but find your blog useful, which gives you more credibility. There is a WordPress plugin on LinkedIn. Add it to your profile and let everyone who views you see your blog. It will impress them. My top three ways for making every blog post count. What do you have to add? *196 words. What’d you think? Not in depth enough or refreshingly short? I try to mix short and long posts. I have a day job and don’t have that much time for writing looooong posts that often. Once in a while I put in a shorter post just to tell everybody that my blog still is alive. One think I find important when making long posts is that the write put in some pictures and some extra space. That makes it more interesting to read I think. I myself try not to write my articles too long. Short and sweet filled with good and useful info is best than writing tons of words just for the sake of it. I was actually discussing this the other day with someone. An article does not always need to be many words to get a point across.